All grades of Butcher paper meet government regulations for food contact as defined by the Food and Drug Administration. Usages include butcher shops, locker plants, food processors, tablecloths, posters, banners. 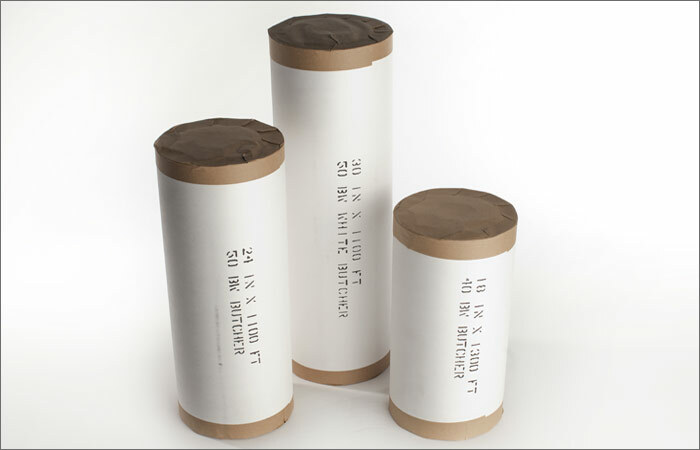 Stock rolls have 3″ cores, core plugs with 1″ holes, and are capped on the ends for protection. Custom sizes are available.